All New Interiors -- Enjoy beautiful dark cabinets and NEW GRANITE countertops, NEW faucets, NEW stainless steel sinks, NEW tile backsplash, NEW ceiling fans, NEW wrapped mirrors, NEW lighting, NEW hardware and hardwood-styled floors throughout! Are you tired of poorly managed apartments? Elmington Property Management has a friendly, first-class management team ready to serve. Come see our new Clubhouse and business center that is just under went construction. 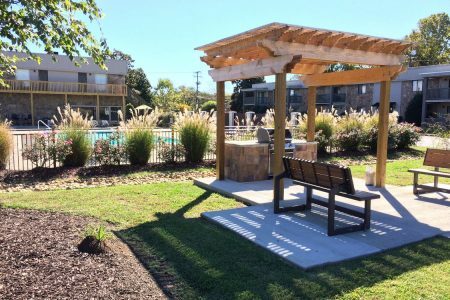 The Grove community also features a renovated pool and fitness center.You'll get EVERYTHING without the high price tag! Live at Grove Hickory Valley -- live in the center of it all!